Chelsea’s squad is complete after a big of movement in the January window, and now we get to see the results of those transfers on the training pitch. 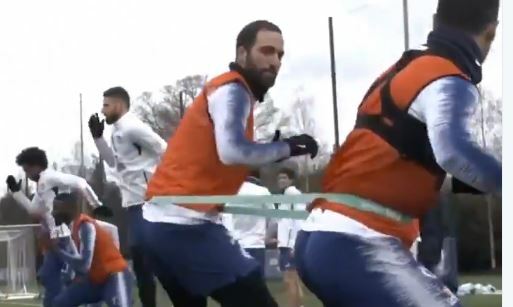 As you can see in this clip, Gonzalo Higuain is partnering up with Eden Hazard in training and we’re all super excited to see the payoff for that. Meanwhile, Joe Cole is another recent return to the club, and he got stuck into some coaching with the kids.